Dr Shaun O’Brien completed his undergraduate medical degree at Flinders University in Adelaide and his internship year at Royal Darwin Hospital. Dr O’Brien completed the majority of his anaesthesia training in various locations around Tasmania. 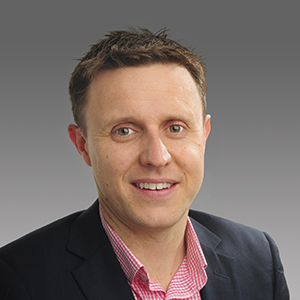 After coming to Perth to complete a fellowship in Malignant Hyperthermia Anaesthesia, Dr O’Brien has remained in WA with his public consultant appointment at Royal Perth Hospital and as a Specialist Anaesthetist in various Perth-based private hospitals. Dr O’Brien has a particular interest in anaesthetising for ENT / Maxillofacial, Obstetrics & Gynaecology, Neurosurgery (spine & brain) and Major Trauma / Orthopaedic surgical specialities. He also has a keen interest in medical education as an instructor for a variety of medical courses.